A civil judge found the Sewerage & Water Board liable this week for more than $500,000 in damages to 11 homes along the major Napoleon Avenue drainage project, awarding sums ranging from $13,000 to $110,000 to the individual homeowners as hundreds more cases remain pending. The judgment, signed Tuesday by Civil District Court Judge Nakisha Ervin-Knott finds that the Southeast Louisiana Urban Drainage Project caused damage to the plaintiffs’ homes or exacerbated damage that already existed, and that the Sewerage & Water Board is the agency responsible. 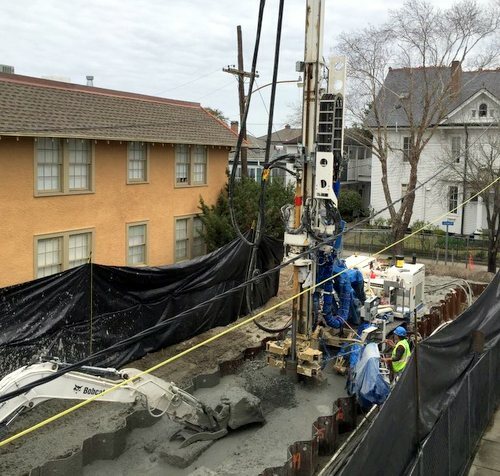 Ervin-Knott also specifies the pile-driving as a cause of the damage on Napoleon Avenue, and details exactly how much the project cost each of the 11 plaintiffs in actual damage and loss of use of their property. The judgment was handed down in the second of what will be many trials. So far, 21 claims have been tried by the Court, leaving more than 280 to go. Attorney for the homeowners, Michael Whitaker, is not surprised that the Court once again found the agency liable. “There is no question of liability in these cases. The Court made that ruling in the first trial. It is a travesty that the Sewerage and Water Board refuses to save taxpayer money and settle or mitigate these claims. Instead, it has chosen the more expensive route, paying attorneys’ to go to trial on each one of these cases.” The Court also ordered the Sewerage and Water Board to pay the plaintiffs’ reasonable attorneys’ fees and costs, amount to be determined at a hearing at a later date. The next round of cases is slated to go to trial on January 7, 2019.